Hiking the Punta Norte trail. 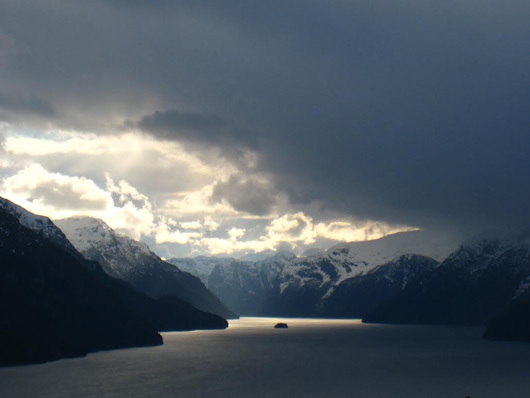 The mystical beauty of Patagonia is calling you. Time to venture to the far reaches of South America. But what area is the easiest to live in, find a job, and enjoy life in the great expanse that is Patagonia? 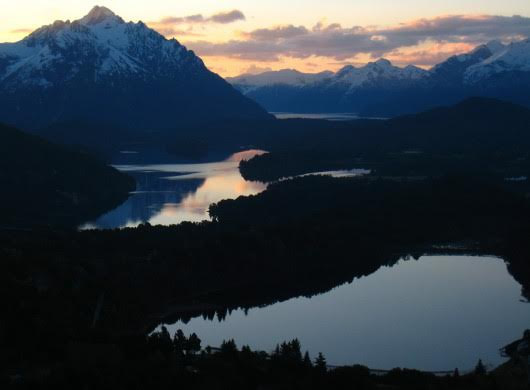 Bariloche, the bustling, enchanting city of 150,000, offers opportunity, work possibilities, and once-in-a-lifetime experiences within its landscape of national parks. Where to Live in Bariloche? Kayaker on Lake Nahuel Huapi. Whether you are thinking of creating a change in your life for a few months or for many years, Bariloche can offer an accessible transition. The initial secret is to find a place you can call home. There are four different aspects to housing in Bariloche: Hostels, apartments within the city, renting a private house on the outskirts of town, or purchasing your own home. The hostel options in the center of Bariloche are numerous. They range in price and cleanliness from bottom of the barrel to decent accommodations. Most of the hosterias and hostels are open to longer stays, especially if only for a month or two during the slow season. The quieter times of the year, or shoulder seasons, are October to Christmas and mid-March until June. Hostels and hosterias range in price, starting around US$20 a night. It is best to contact various places prior to arrival and let them know what time period you’re thinking about. Many places offer a discount if they are informed of your plans ahead of time. Apartments and rooms in the city center of Bariloche are a commodity and can be difficult to find, especially if looking during high season. Although the beauty of the area is found outside of town, many feel that it is better to live within the hustle and bustle of the city center. Prices in Bariloche for a fairly decent private furnished studio apartment begin at around US$350 up to US$500 for a larger studio. Long-term rentals outside of town, in what is considered the “kilometers,” are the most price-efficient sector of living. The quality of housing can also be better in this area. 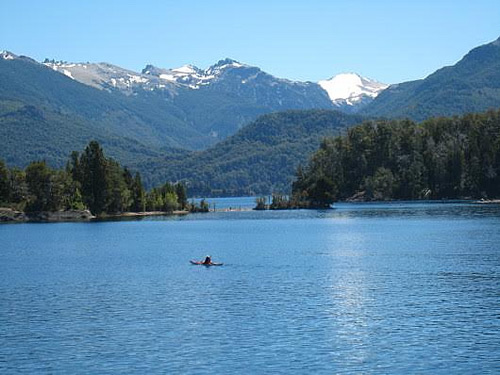 The kilometers stretch out along the shores of Lake Nahuel Huapi for approximately 25 kilometers. The main road bordering the lake is Bustillo. Off of Bustillo there are many different suburban areas that offer stores, restaurants, and comfortable housing choices. It is fairly easy to find a 1 or 2-bedroom house for around US$400 to US$700 a month in the outer limits of the city center. Due to the somewhat efficient and extensive Bariloche bus service, it is fairly simple to get around without a car when living beyond the city center. For those that would like to stay for an indefinite amount of time, or want a place of their own, buying is a great option. Property prices in Bariloche are well below the median range of prices in the United States and Europe. It is possible to find a well-built, nicely located, 1 to 2-bedroom home for around US$100,000. The key is finding a realtor that is working in your best interest. Bariloche does not have anything like the U.S. MLS listing service, where all properties on the market are listed together. Many real estate agencies attempt to only show their own properties, which makes it difficult to see the entire market. Bariloche is within the Zona Frontera, an area that requires extra paperwork and time to receive the title on a purchased property. Although more patience is required, this is only an extra hurdle to be surpassed and should not be looked at as a deterrent. Where to Work in Bariloche? The best way to make the most amount of money when living in Argentina is to work via computer or on a job that offers long-distance consulting earning capability in a foreign currency. One of the benefits of living in Argentina is the exchange rate, so making an Argentine wage is not as attractive to foreigners. If working from abroad is not possible, there are some other options. The easiest position obtainable for a foreigner is teaching English. This is especially true for those who are native United States English speakers. There is a shortage of teachers with the U.S. English dialect, thus creating a need for teachers with this ability. There are various schools around town that are looking for foreigners, such as the Hudson English Institute, Steps English School, Colegio del Sol, and Colegio San Patricio. Another language that is popular within the school system in Bariloche is German. If you are able to teach and speak German fluently, it is possible to land a job within some of the private schools around town. One such school is the Instituto Primo Capraro, located on Calle Gallardo, 40. 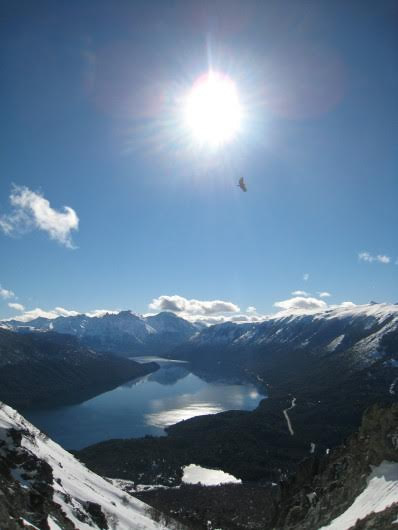 Bariloche is the epicenter of some of the most beautiful natural wonders in the world. Due to this major expanse of wilderness, it is possible to find work in the world of guiding if you are knowledgeable and proficient at particular sports, such as rock climbing, snow skiing, mountain biking, river rafting, fly fishing, and hiking. There are various guide businesses throughout the area that are looking for bilingual guides. You must be not only versed in your particular sport but also have accredited licensing. Cerro Catedral, the local ski area (and largest in South America) has many different ski schools that look for instructors that can teach in different languages. Another option for making money in the Bariloche area, if artistically inclined, is the option of selling your wares at the different artisanal fairs. In Bariloche there are two different exhibitions, one indoor and the other outside, where personally made products are sold. Both are located near the main street of San Martin, in the center of the city. There is also a Sunday fair in Colonia Suiza, 20 kilometers outside of town. You must rent the particular booth where you will be selling your goods and show that you made the items yourself. Another locale to sell hand-made items is the fair in El Bolsón. El Bolsón is an hour and a half drive south of Bariloche and is the hippy central of Argentina. Again, there are rules regarding having to rent your booth and show that you made your items, but this is a major artisanal gathering where people arrive from around the world to buy. Another option to generate income involves purchasing a rental property or properties. 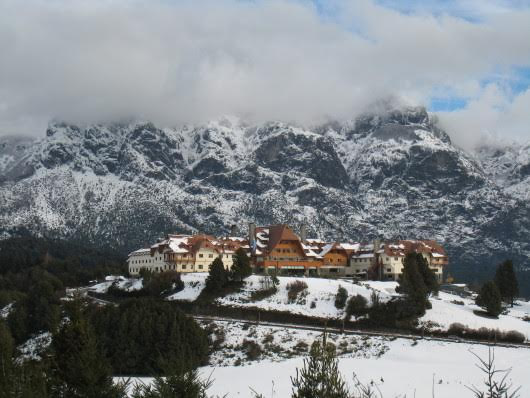 Bariloche is a booming tourist center, growing rapidly with an increase in foreign and Argentine travelers. The real estate market offers many types of options, whether a single house or a multiple bungalow property, which can achieve positive cash flow opportunities. If able to give your time instead of having to earn an income, there are different volunteer efforts around the city. There are interactive school projects, a humane society, and programs looking for people to teach English as a foreign language. La Montaña Spanish School and Patagonia School, both located in Bariloche city center, are two different establishments that offer easy ways for foreigners to become involved with the community. Where to Enjoy Life in Bariloche? Bariloche is truly a Mecca of outdoor activities. The options are endless. The city is surrounded by miles of protected national forests, creating a spectacular scenic backdrop for all types of recreation. Condor flying above Padre Laguna. The Parque Nacional de Nahuel Huapi contains hundreds of hiking trails. The trails are all beautifully maintained single tracks that wander through the dense, green, old-growth forests. Many of the trails are interlinked by huts that are manned by a local resident. Fresh food, drink, and semi-comfortable beds are offered in the various refuges. Some of the backcountry lodges offer thirst-quenching home-made brewed beer, a nice finish to a long day in the mountains. Not all of the huts are open year-round, so it is important to check with the local climbing association—Club Andino. Located on Calle 20 de Febrero, this small office offers detailed information and hiking permits. Mountain biking is an easy activity to enjoy here because of the ample supply of rentals. Helmets and gloves are usually included in the price of the bike. There are multiple different excursions, ranging from dirt roads to single track trails. One of the best single track trails in the world is located in the Parque Nacional de Arrayanes, outside of nearby Villa La Angostura. This is an amazing single track ride that wanders through thick forests and beautiful meadows. It ends at Lake Nahuel Huapi, amongst a grove of Arrayanes trees. The inspiration for the trees in Disney’s Bambi, this particular area of Patagonia is the only place in the world that the orange and white-barked tree grows. Another beautiful circuit to ride that is on pavement is the Circuito Chico that follows the shores of lakes Nahuel Huapi, East Moreno, and West Moreno. It also offers spectacular views of the massive, thickly forested mountains that rise from the lake’s crystal-clear waters. Rock climbing is a growing sport in the Bariloche area. There are new routes continually going up all around the area. The main center for crack climbing is the spires and solid rock faces surrounding Refugio Frey, near Cerro Catedral. There are hundreds of routes that tower over the rock shelter and its neighboring mountain lake. Another area that offers sports climbing is Piedras Blancas, below Cerro Otto, located in the center of town. The routes cover all levels of difficulty. The backdrop is the glistening water of Nahuel Huapi and surrounding mountains. Sunset over Lake Nahuel Huapi. Fly fishing is a sport that is extremely popular in the Bariloche area because of the countless clear rivers. The season is from mid-November to mid-April. There are different companies offering lessons and guided trips, such as Baruzzi Deportes and Martin Pescador. For more information on where to go, contact the local hunting and fishing club, Club de Caza y Pesca. It is located on the corner of 12 de Octubre and Onelli. Besides outdoor activities, Bariloche also offers some of the best fine dining in all of Argentina. There are multiple 5-star, multiple-course restaurants. Some that should not be missed include Cassis, Los Cesares in the Hotel Llao Llao, and an Italian favorite, Il Gabbiano. The Hotel Llao Llao taken from St. Edwards Catholic Church. In addition to good food, there are also multiple clubs to dance the night away. The main road along the lake, Juan Manual de Rosas, has a variety of large clubs to choose from. A block above Rosas is San Martin. There you can find many smaller bars and restaurants. Be ready to stay up late when you party Argentine-style as the nightlife gets going around 3 a.m.
Bariloche is a magical area that offers a mixture of city life and protected natural beauty. There are few places in the world that offer such a diverse, enjoyable way of life, especially at such reasonable prices. And it doesn’t matter if it is for a short time or the long haul. Living in Bariloche is not just an adventure. It is a chance to improve the quality of your life. Cerro Campanario sunset in Patagonia.